An abstract techno sphere morphing into a cube on a red and orange spinning and pulsating background. Take your performance to the next level with this video loop, great for all kinds of video presentations. 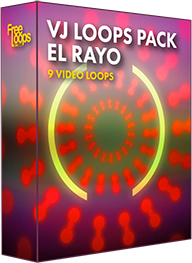 This video loop is part of VJ Loops Pack El Rayo.